Walt Disney Studios and Lucasfilm in association with Kasdan Pictures and Genre Films will begin shooting “Untitled Han Solo Star Wars Anthology Film” principal photography in February, 2017. Auditions are being set up in Los Angeles and London for new supporting roles. Filming will take place at the Pinewood Studios in London, England among other undisclosed locations in the United Kingdom. 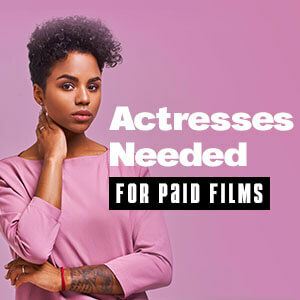 Experienced film crew members can also now submit resumes to the production office email below. To be considered, all actors MUST have legal eligibility to work in the entertainment industry in London. Details below. “Han Solo: A Star Wars Story” is using the working title “Red Cup”. “Untitled Han Solo Star Wars Anthology Film” centers on how young Han Solo became the smuggler, thief, and scoundrel whom Luke Skywalker and Obi-Wan Kenobi first encountered in the cantina at Mos Eisley. Starring in “Han Solo: A Star Wars Story” is two-time Teen Choice Awards nominee Alden Ehrenreich playing the role of young Han Solo. Ehrenreich was officially booked in the lead role after thousands of actors auditioned. He recently completed filming on the Warner Bros. feature film “The Yellow Birds”, starring opposite Jennifer Aniston. Also starring in “Han Solo: A Star Wars Story” is Golden Globe Award nominee Donald Glover playing the role of Lando Calrissian, and three-time Primetime Emmy Award nominee Emilia Clarke in the female lead role. Primetime Emmy Award nominees Phil Lord and Christopher Miller will direct the project from a screenplay written by four-time Academy Award nominee Lawrence Kasdan and Sundance Film Festival Grand Jury Prize nominee Jon Kasdan. Executive producers are Lawrence Kasdan and Jason D. McGatlin. Producer is eight-time Academy Award nominee Kathleen Kennedy. Will Allegra will serve as co-producer. “Han Solo: A Star Wars Story” is scheduled to hit theaters on May 25, 2018. Walt Disney Pictures casting directors are auditioning actors for new supporting roles in the upcoming “Untitled Han Solo Star Wars Anthology Film”. All actors are required to be legally eligible to work in London and in the United Kingdom, where filming will take place beginning in February, 2017. Casting calls and registration for extras will be posted here as they become available.